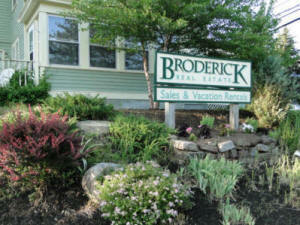 Welcome to Broderick Real Estate at Gore Mountain in the wilds of beautiful North Creek, New York. We are the best and most-trusted real estate advisors in the region, it's proof positive, just ask our clients and customers! Here you are in the ever-so astonishing and adventurous Adirondack Mountains!! #Hike #Bike #Kayak #Canoe #Fish #Wine #Dine #Visit the #Adirondacks of #WarrenCountyNY where you will fall in #love with the Hamlet of #NorthCreekNY and the #Home of #GoreMountain! Here at Broderick Real Estate we are always on-the-go and in-the-know for everything real estate. On any typical day we are usually meeting homeowners, out showing houses, taking photos, picking up keys, and writing purchase and sales agreements! So, if you don't get us on the first phone call, please email us for quick and responsive service. Thank you! In additional to the best downhill and Nordic skiing in the East, North Creek also has renowned "World-Class" Whitewater Rafting on the Upper Hudson River Gorge every Spring-Summer-Fall! Add miles and miles of mountain biking and The Adirondack Revolution Rail Bikes to the mix, mountain climbing, trout fishing and sunny afternoons, and you'll have found an adventurer's paradise! Let Broderick Real Estate find your family's Adirondack mountain retreat. Call for details on all listed properties in The Southern Adirondacks of The Capital Region of New York State. Buyer-Broker services are available, celebrating 30 Years of experienced sales, care and customer service. Our dedicated sales associates at Broderick Real Estate are full-time, dedicated, experienced, top-level professionals with years of experience in the Southern Adirondacks of New York. We strive to provide premier customer service, centered around trust, honesty and integrity. We have successfully negotiated the very simplest transactions to the most complex with incredible ease, ensuring an enjoyable real estate process through to a speedy closing. The Adirondack Park of New York has over six million acres of public and private lands for you to experience the outdoor life, wildlife, nature's beauty and for endless explorations. Our experienced sales staff will navigate you through and around these magnificent & unique wilderness areas showing you Adirondack Park properties that you never imagined! All within mins. of North Creek & Gore Mountain Ski Area, Chestertown, Minerva, Olmstedville, Indian Lake, Lake George, Warrensburg, Thurman, Bolton, and Athol, New York. Beautiful two acre building lot that rolls down to the Hudson River waterfront! There is a drilled well on-site, survey with building envelope layout, located on Friends Lake Road. Apple trees, a mountain view, great trout fishing!! 12miles to Gore Mountain Ski Area, 7 miles to Cronin's Golf Course! Excellent place to build a new house! $120,000. Easy country living! Originally built over 100 years ago as an accessory building and flower shop to the Dude Ranch up on Cobble Creek Road. A main addition was added in 1940. Over the past 30 years the current owners have lovingly restored every part of this cottage. 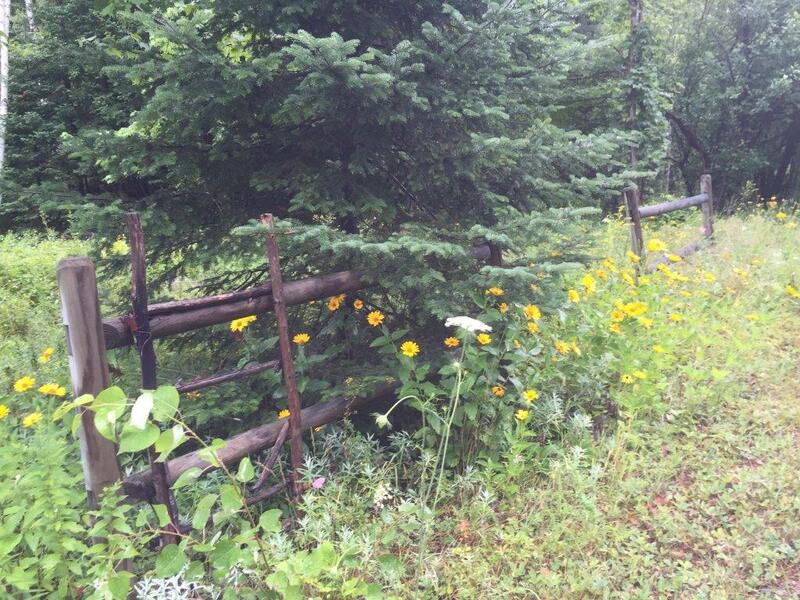 Situated off the main road, yet just 3 miles to Main Street North Creek and 5 miles to Gore Mt. In the summer you are just 10 minutes to Minerva Beach. There is so much charm in this home, reclaimed hardwood floors, custom twig railings, original stone fireplace w/wood stove insert, lofted master bedroom, eat in kitchen with knotty pine cabinets and red oak counter tops, all the rooms are bright and cheery. Lovely yard that is level and has pretty lilacs and a wonderful old apple tree out front. Garage and storage building. Please call for updated information. Thank you! The Summit Townhomes offers One, Two and Three Bedroom Townhomes that will delight you with convenience and add to the endless Adirondack experiences for you and your friends and family! Broderick Real Estate has been selling these Summit Townhouses since the site was first developed!! The 32 acre vacant site Hamlet Zoned property sold originally for $150,000 in 1986. It was originally approved for 94 townhomes, just under the Adirondack Park Agency needed approval of 99. It's an interesting history of North Creek before there were any townhouses in the immediate area. There were just five hotels: The Alpine, The American-now the Copperfield Inn, The Northwinds-now The Gore Chalet on Peaceful Valley Road and the Black Mountain Motel on Route 8. The Summit at Gore Mountain Townhome Community is located right on the way to the Gore Mountain Ski Area in North Creek, New York, just off of NYS Route 28. The Summit has an indoor heated pool & cedar sauna, game room and a free shuttle to Gore Mountain. You will belong to the Summit Homeowners Association for $350/month. This HOA fee covers your cable TV, all exterior building and ground maintenance, snow removal, lawn care, trash removal, fire wood, the pool & sauna and a winter shuttle service to the mountain, which is only 2 miles away. All these townhomes are within walking distance to Little Gore and Basil & Wick's Restaurant. And you will have access to 52 weeks of the RCI Rental Exchange Program for a nominal charge in which you trade townhomes and vacation locations for more unforgettable memories with family and friends! The Summit at Gore Mountain Three Bedroom Townhome with two baths, jetted soaking tub, wood-burning fireplace, excellent mountain views, easy access, fresh paint, new carpet, new floors. $130,000!! The Summit at Gore Mountain Two Bedroom Townhome with two baths with a jetted tub, easy pull-in parking to main entrance, freshly painted, all in great shape. The least expensive two bedroom townhouse on the site! $134,500!! The Summit at Gore Mountain Three Bedroom Townhome with two full baths and a half bath on the main floor. Beautifully decorated, great view of the mountains and the Burnt Ridge chairlift. Best value on-site at $159,500 with a $500. credit at closing!!. ***We are selling vacant lots to build on!! We just sold a six acre lot on Friends Lake Road for $30,000. and recently put a 25 acre parcel on Byrnes Road under contract. So, there is movement in the real estate market for vacant land. There are also too many parcels to list here on this site! Please call us for an up to date and current listing of all lands available to purchase today! Thank you!! 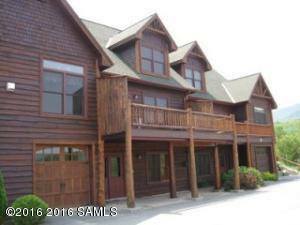 This Gallery of North Creek~Gore Mountain Homes is located in The Southern Adirondacks of Northern Warren County in the great scenic State of New York! Broderick Real Estate is the lead real estate agency in the region with almost three decades of experience. This gorgeous Adirondack Region includes the Towns of Johnsburg, Chestertown, Warrensburg, Athol, Horicon, Minerva, Thurman, Indian Lake, Bolton Landing & Lake George. Find us on social media and follow us on Instagram, Facebook and tweet to us on Twitter for live updates and interactions. The Adirondack Park offers vast wilderness, mountains, & lakes. Scenic vistas views, clean air, crystal clear water, and unmatched beauty! And it is all yours for free! Get out & get into the wilderness today! We have sold properties on eleven different Adirondack lakes! These include, Lake George, Brant Lake, Loon Lake, Friends Lake, Minerva Lake, Indian Lake, Balfour Lake, Lake Harris, 13th Lake, Antler Lake, Lake Snow, & 6 ponds: Moose Pond, Austin Pond, Alligator Pond, Bird Pond, Bullet Pond, & Oven Mountain Pond. 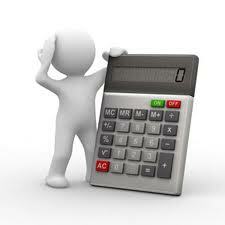 We have multitudes of exceptional references that we will furnished upon your request. Take The Adirondack Northway~ I 87, North to Exit 23, to Route 9, and to Route 28. Info on all Southern Adirondack Listings & the Multiple Listing Service.